Held at Facebook’s HQ in Menlo Park, CA, the invite-only event brought together around 250 of the world’s leading social scientists, technologists, business people and policy-makers to discuss the future of social science, the impact of technology and the possibilities for cross-discipline collaboration. Social Science Foo Camp (Soc Sci Foo) is the latest event in the Foo Camp series. “Foo” stands for “Friends of O’Reilly” and the original camp was held in 2003 at O’Reilly’s headquarters in Sebastapol, with discussion focusing on the future of technology. Since then, numerous other Foo events have taken place, including the annual Sci Foo Camp, which brings together technologists and scientists to discuss the intersection of science and technology. During the Soc Sci Foo opening session, attendees were greeted by Tim O’Reilly (O’Reilly Media), Ziyad Marar (SAGE Publishing) and Lada Adamic (Facebook), and encouraged to spend the weekend meeting new people and exploring ideas that could have far-reaching impact. Like the other Foo events, Soc Sci Foo followed an "unconference" format, where the agenda was created by the event attendees on the first night based around their areas of interest. Everyone was invited to suggest their own sessions and work with other people to create a schedule of discussion topics. In addition, there were a number of "lightning talks" where attendees were given a short window to present their chosen topic to the audience. It was a thought provoking weekend, which invited us to look deep into the nature of humanity, technology and the future. Sessions posed a range of questions, such as “Why do we need childhood?”, “Is privacy dead?” “How do people change their minds?”, “What’s so artificial about artificial intelligence?” and “Can machines make us fall in love?”. 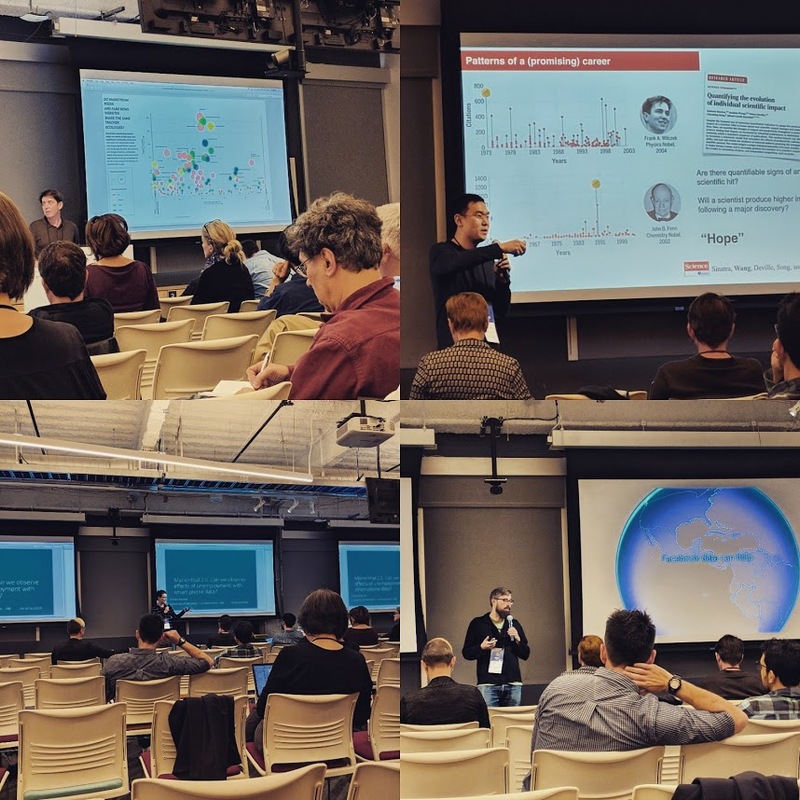 There was also much discussion around the topic of Computational Social Science and Big Data, with a number of sessions focused around the need for collaboration between social scientists and data scientists. Technologists were also keen to engage with the academic community to find out what types of social research companies should be doing and how they could work more closely together. See what the other attendees had to say about the event on Twitter. Social Science Foo Camp is the first in a series of events that SAGE Ocean will be running to engage social scientists in the discussion around big data and technology. Follow us on Twitter for the latest news and updates - coming soon. In the meantime, check out our events page to see a list of the latest Computational Social Science & Social Data Science events happening around the world.